The list below shows all the modules offering at Dining Butler. 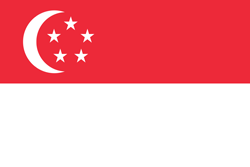 Please feel free to contact us if you have any enquiries. 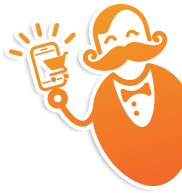 Dining Butler 's customer module is a revolutionary mobile ordering platform. 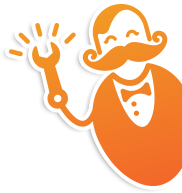 Many diners from around the world access Dining Butler from a range of mobile devices, from tablets to desktops / laptops on varying networks. F&B outlets face many manpower issues across various reasons. The customer module was built for these situations, giving people a reliable ordering experience when manpower bandwidth is at a minimum. It includes Dining Butler 's core functionalities like location detectors, menu browsing, mobile payment, food customisation, sharing table orders, payment for self/friends and more. To ensure the reviews are authentic, you can only add to F&B outlets you have experienced. The payment gateway provides ease of payment and allows you to capture your customers’ experiences online, and through the app, in your world. 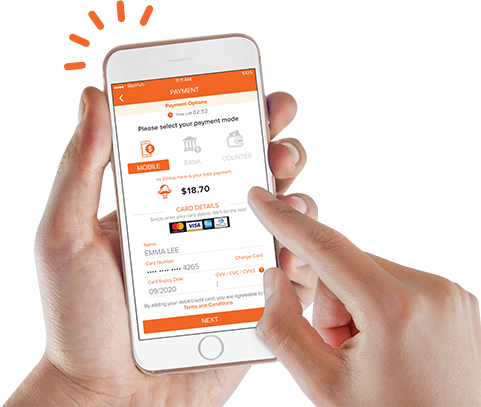 This product supports the cashless society and provides customers one-click and recurring payments in-app, ensuring a frictionless payment experience for returning customers. The Point of Sales (POS) system is the heart and soul of an F&B outlet. Imagine your POS system is available at any devices you wish. 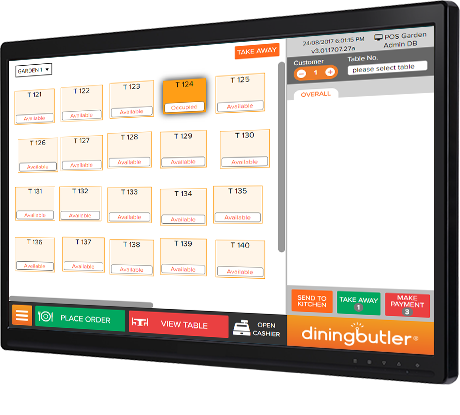 In addition to the standard POS features such as orders, bills, reservations and table management, the Dining Butler POS system allows F&B to connect with the Dining Butler community. When a customer comes and orders at your F&B outlet, their basic approved details will be shown in the F&B outlet POS, giving opportunities to provide better bespoke services, even if they are just coming for the first time. 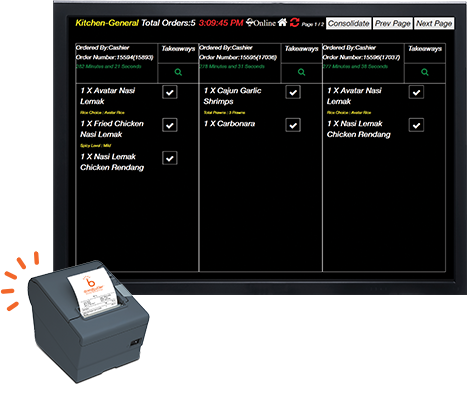 Manage the information that has been sent to the kitchen via the ordering system with ease. View as per table, or via a consolidated order list view for ease of preparation. A timer system acts as a reminder to the chefs for food preparation. Chefs are able to interact with front counter, and to the customer's orders via the kitchen screen. Not every kitchen is suitable for a display system. In oily and hot kitchens, a printer system is recommended. When the kitchen has finished preparing the dish, the chef can notify the front end waiter with just a click of the button. The waiter screen will show the ready, not yet ready, and delivered item status. Broadcasting promotions, updates, or special news for a quick one-time off dinner promotion, target marketing can be done through our CRM. The CRM of Dining Butler is one of the most engaging and immersive ways to share promotions with your customers. More people are receptive towards promotions via mobile than they care about the mainstream media. With food item management at your disposal, you can add, edit your menu prices as and when you wish. No more worries of mishandling or misprint of physical menus if you need to add or change any items. F&B outlet management gives the F&B owner a space to control their operations easily. Settings such as operating hours, payment details, user account roles can be customised for each individual F&B outlet. 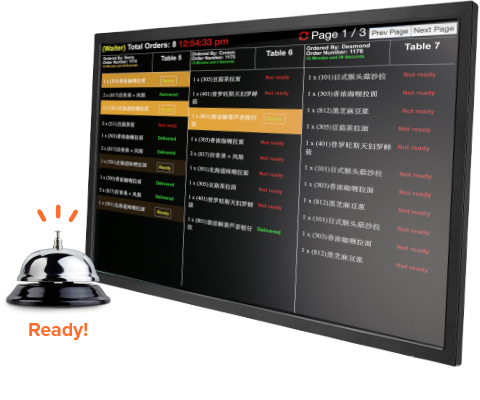 Within a F&B outlet, owners have the full flexibility of viewing real time status or past operation history.